The first and most obvious one is size. 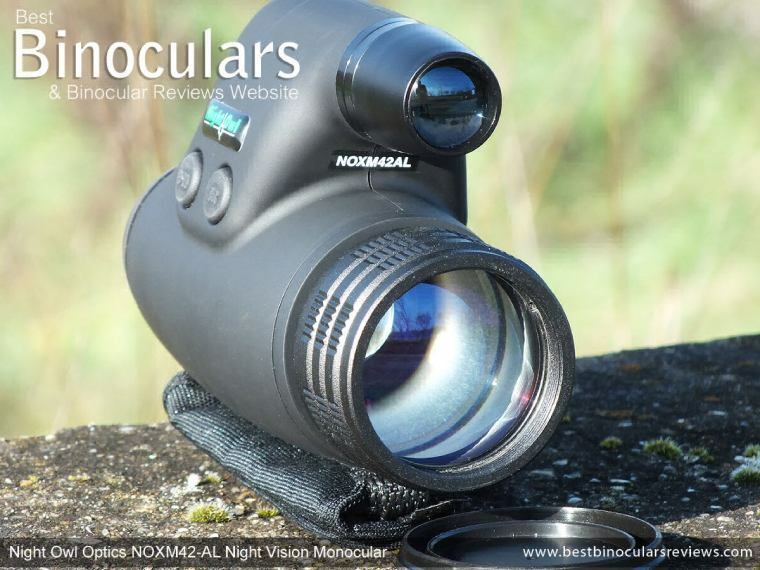 As it is basically half a binocular, a night vision monocle is far more compact and lightweight and thus easier to carry about as well as pack away. 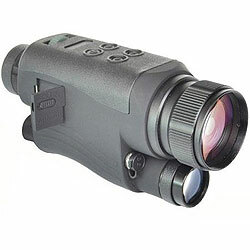 The second big benefit a NV monocular has over a bino is that they are cheaper. This is because the manufacturer only has to make half a device using far less components and so they cost a whole lot less to make. 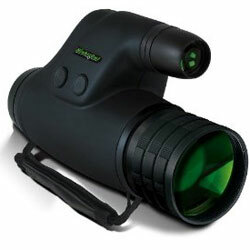 So if you are looking to save a few dollars, a cheap night vision monocular is the way to go. Thus in this article I will use these points as a guide to select and go through some of the very best night vision monoculars is a range of uses generations and categories as well as provide links to my complete hands-on reviews of many of them. 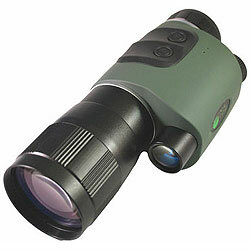 Below are my top nite monocular recommendations in their respective categories. Firstly there are the "standard" devices that use Image Intensifier Tubes to magnify any available residual light taken in by the objective lens and which is then projected onto the eyepiece for you to see. If you need more information, be sure to check out my Complete Guide to Night Vision and How it Works. There is no doubting good quality higher generation NV instruments do offer improved performance, but if you are on a tight budget or only plan to use your instrument infrequently, then you really should not discount a Gen1 NV Monocular. I have had some really good results in this class and have been very pleasantly surprised on a number of occasions. In fact there are some, like the one below that deliver an image that matches many average Gen 2 instruments that cost a whole lot more. But you do need to be careful as in this category more than all the others you also get a far higher proportion of poor quality devices. The Gen1+ LN-NVM5-HR from Luna Optics, combines a powerful 5x magnification with a large 50mm objective lens, this is ideal if you need just that little more reach than many lower powered devices can offer, but still want to maintain as bright and image with as much detail as possible. The slight downside here is that the larger lens makes the device a little larger and thus less portable. The 5x power has it's obvious advantages, but just remember that it also means you cannot use it as a goggle for on the move use. Powered by a single 3v CR123A battery, the Luna Optics LN-NVM5-HR Night Vision Monocular has many of the same features as that of higher generation devices. This includes a built-in IR illuminator for use in complete darkness, a waterproof body that is both tough and tripod adaptable. Whilst testing this device I thought that both the image quality In terms of clarity) and brightness on all but the very darkest nights was very good especially if you keep in mind the high powered 5x magnification and easily a matches or beats any others in this class. I also thought that the power and effectiveness of the built in IR was impressive and in my experience is as good or better than any others I have used in this class. With the tethered lens cover and included wrist strap and tripod mounting thread,Luna Optics show a good attention to detail. When you are talking about "real" image intensifier instruments and thus ignoring digital devices, then Generation 2 night vision devices are where you get a really good sweet spot between performance and price and is why for most civilians this is the best and most popular category. Even here there are quite large differences in performance and thus when doing your research, try and look for devices that are advertised as using the better quality Gen 2+ intensifier tubes which deliver a brighter and better quality view even in the darkest nights. The Gen2+ Luna Optics LN-EM1-MS night vision monocular, is light and compact enough to be comfortably carried anywhere. 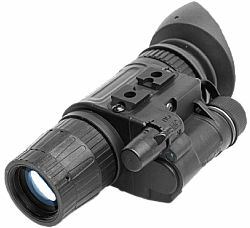 The unit features all-glass multi-coated optics providing bright image and a very wide Field Of View and a built-in 2-power level IR illuminator allowing for short distance observation even in complete darkness. When I tested these my impression was that the build quality was very high and loved how the very compact and lightweight design makes them not only really easy to carry about in your hands, but also very easy to pack away in you bag and take wherever you are going. 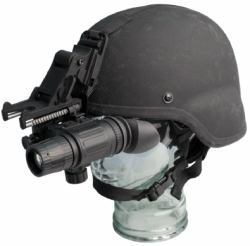 It operates on just one AA type battery and can also be accessorized with optional head-mask to be uses as a NV goggle, larger magnification lenses and extended range IR illuminators. 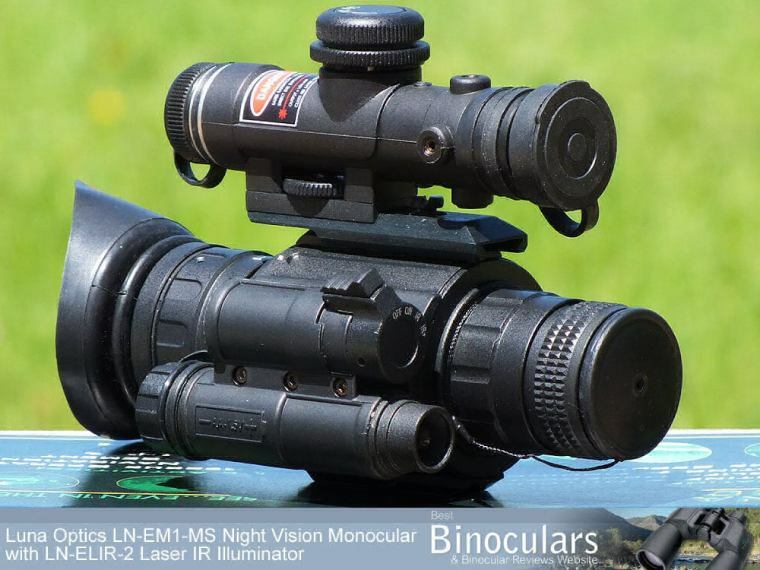 I loved using and testing the Luna Optics LN-EM1-MS Night Vision monoculars and if I had not known, I would have guessed they were a Gen 3 instrument. 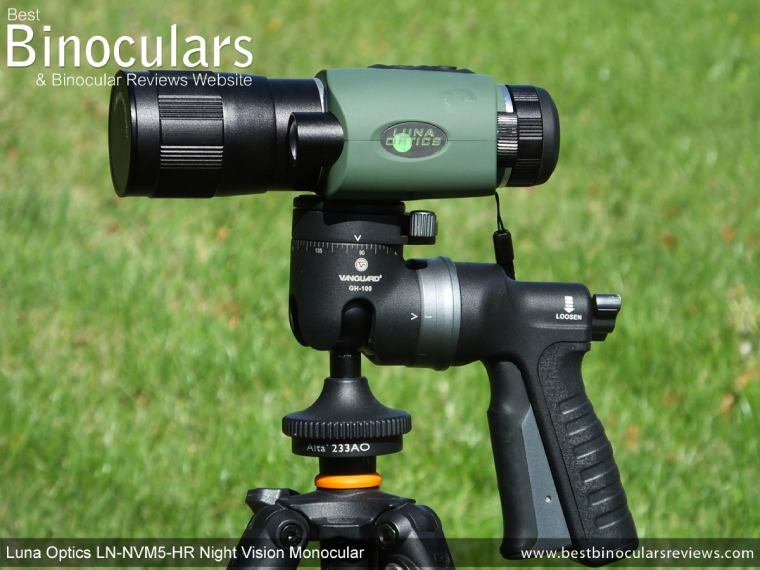 It is for this reason as well as their compact size I would say that these monoculars are ideal for most night time wildlife observation as well as home, farm and industrial security needs. Whilst buzz is about Gen4, make no mistake Generation 3 Night Vision devices offer an extremely high level of performance, indeed it is what most military and law enforcement units were and indeed still use. The beauty here is that the price of a good Gen 3 monocular is considerably lower than that of Gen 4 (often about half the price), yet in terms of night vision performance the difference is relatively minor. The GT-14 from N-Vision Optics is a tough, take anywhere instrument ideal for a wide range of night time operations. 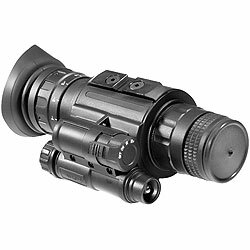 Dimensions: 4.7 x 2 x 2.7"
Like many of the others on this list, the GT-14 can be hand-held and used as a standard monocular, it can also be head/helmet mounted as used as a single-eye NV goggle and you can also weapon-mount it to use as a night scope. What also stood out for me was the ease at which you can attach it to a camera (photo or video) to record any activities. On top of all this you can obtain extra 3x or even 5x telephoto lenses to increase the unit's magnification. Then also available the N-Vision optics dual mount adapter which enables you to mount two GT-14 monoculars together and thus convert it into a dual tube binocular! It was not that long ago that as a civilian, it was completely unheard of to own this level of Night Vision device, so the fact that today we can go out and get the very best and latest technology is great. However getting your hands on the latest and best does come at a price and so whilst the performance does improve it is the case of diminishing returns. Meaning the closer you get to the top, the more you have to pay for ever smaller improvements. 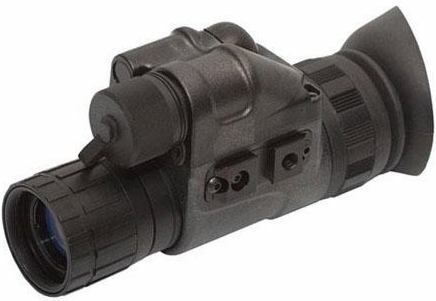 Make no mistake this generation 4 night vision monocular is not only one of the best in it's class, but in my opinion is up there with the very best in any class and for any use. Like the Luna Optics LN-EM1 above the ATN NVM14 has the same really compact chassis design with a durable and robust construction. The beauty of this design is it's versatility: All models within the ATN NVM14 series can obviously be hand-held, but add to this the ability for them to be easily head-mounted, helmet-mounted or fitted onto your weapon. The 1x magnification and the high quality, steady and bright view you get through this device means makes it possible for you to use it whilst moving. This includes driving in the darkest of nights when only star on moonlight is available. If the conditions are really bad, you can also switch on the on-board Infrared light, which acts like a torch, providing the device with a light source for you to see in complete darkness. However the beauty of the NVM14 series from ATN is that should you need some extra image detail (magnification), you can also get a telephoto lens that attaches to them to give you up to 8x power. With lower quality devices, you find that you have to often change the brightness levels depending on the situation, so for instance in places where there are other light sources like street lights, this can become a real pain. The NVM14-4 NV monocular gets around this as it has a onboard system that automatically adjusts the brightness and so keeps the IIT brightness at a constant level. There are also a bunch of other important features including an automatic system that protects the unit from bright light that can damage other NV devices. You can expect to pay around $5200 for the ATN NVM14-4. If you are careful, and choose wisely it is possible to get a good monocular with night vision for around $150 / £150 which if you consider all the technology involved and which was used seriously by the military not that long ago, then it is pretty incredible. With the 3x42 NOXM42-AL from Night Owl you get an inexpensive and compact monocular that I feel still performed to a surprisingly good level and which i think is as good or better than any with in this price and generation class. Compared to all other monoculars with similar size objectives and within this sort of price range, these are in my opinion as good or better than any I have used. I therefore highly recommend them if you are looking for a compact, take anywhere as well as comparatively cheap night vision monocular. Low price, lightweight and compact design that is very comfortable to hold. Despite the low price, they look to be very well made and in my experience produce an image with as much detail and as bright as any monocular in this class. Another really big highlight for me was just how few blemishes you see on the screen which once again is a big improvement to what I have experienced in the past. The fact that it comes with an onboard IT illuminator is good and not always the case at this price point. Whilst I know that most NV devices are not waterproof, it is a slight shame as this would make them even more useful in all weather conditions. The carry case is also very basic and it would have been nice to have one that had even some padding for protection. Digital devices are an interesting option because not only are they cheaper, but they also make recording what you see through your monocular very easy as many come with built-in image and video recording capabilities. In terms of performance, a good quality digital NV monocular produces a cleaner image (less screen blemishes) than most Gen 1 devices and is in my experience about equal to most Gen 2+ to Gen 3 instruments in terms of being able to produce a bright image in very low light conditions. There is so much to like about this device and it can perform so many tasks that it is quite difficult to know where to start! 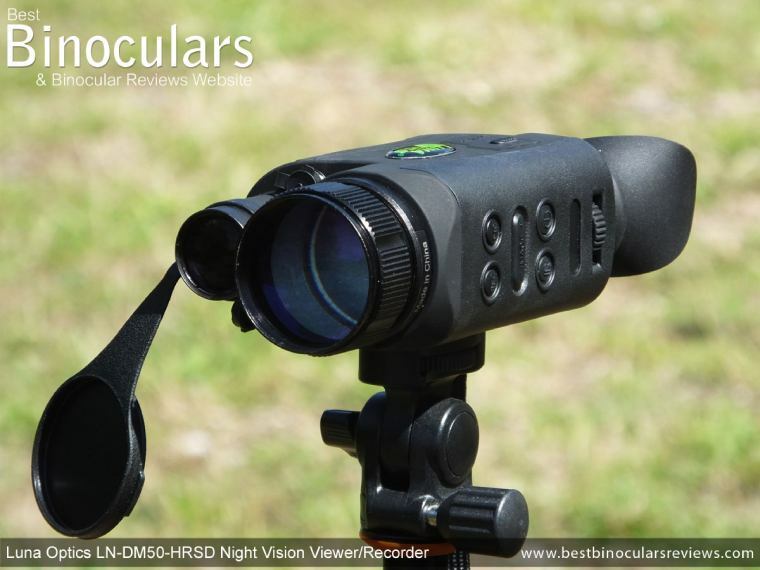 In my opinion, one of the strongest aspects to this Luna Optics LN-DM50-HRSD is having a device that you can not only use to view what is going on at night, but very easily record what you are seeing. You get a large zoom range (5x - 20x) without having to purchase extra lenses and means you can quickly find and lock onto what you want to see using the 5x power and then zoom in to get a better view. When I tested it, I thought overall build quality was excellent and it has a nice solid feel to it. The performance in the dark is also excellent and easily up there with the best Gen 2+ and even some Gen3 night vision devices that I have used, which if you take into account that you can now also take an image or a video without having to purchase any extras is great. The IR is powerful and works really well, especially at short, to mid range distances and whilst it may outperform most at longer distances, it still is not quite as powerful as a specially designed extended range IR Illuminator. The Night Vision Monocular market has really exploded over the last decade or so and as such there is a massive range of options available. 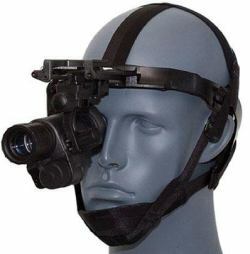 In some ways this is great as it has pushed manufacturers to supply the higher level technologies and so what was once only a military night vision monocular is now available to the public. Add to this the extra competition, which has driven down prices. However on the down side, it also means that there are a lot of substandard products on the market, which combined with the large amount of options can make it very difficult as a consumer to know what to get and which one is right for your needs. The price range between a cheap Gen 1 or digital device when compared to a top level Gen 4 device is also vast and so even just deciding on what budget to go for can be difficult. My advice would be to take into consideration how often you are going to use the device. If it is infrequent and just for a bit of fun, then a good quality Digital or Gen 1 / Gen 2+ device will be more than fine for most users and uses. If however you need the best view and low light performance as possible and you will be using your NV frequently, then Gen 3 and Gen 4 is your best option. I hope that my guide to the best night vision monocular of 2019 as well as my reviews have been of some help to you and as always I really appreciate your feedback or any comments that you may have.